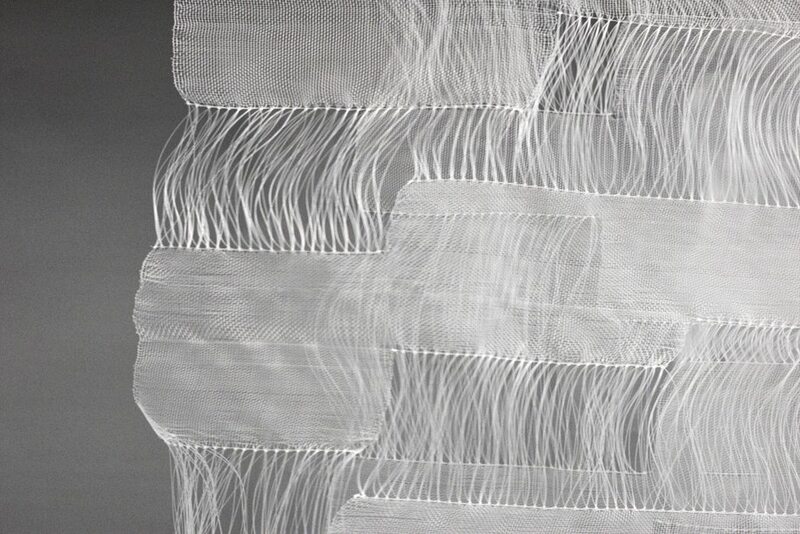 ‘Hourglass’ is a textile-based installation of handwoven translucent nylon and reflective glass powder by Helen Liene Dreifelds. Nearly invisible, multiple semi-transparent panels act as filters which appear to be caught in a state of deterioration. 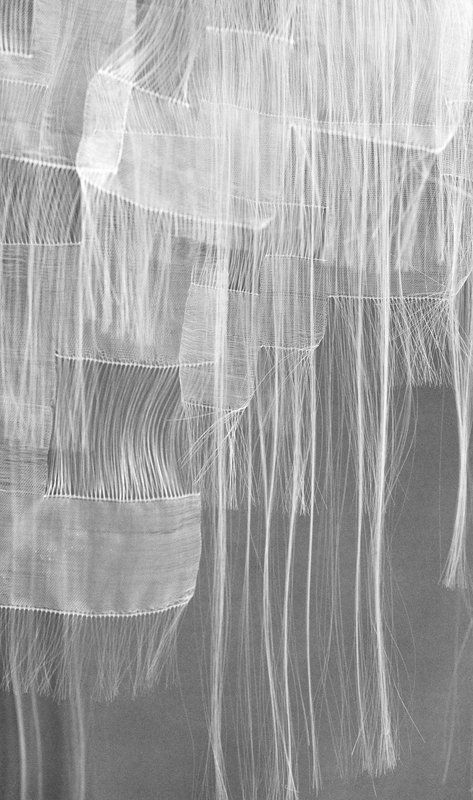 Drawing on the mutable quality of textiles, the materials appear and disappear depending on the viewer’s angle and light variations throughout the day and night.